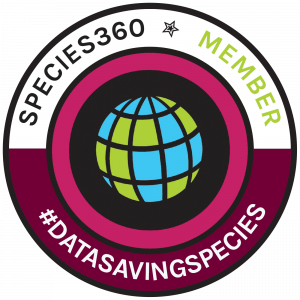 Species360 is happy to welcome the following recent new members to our community. Interested in becoming a member? Learn more below. Tierpark Bochum in Germany is a non-profit zoo and aquarium with approximately 310 species. The facility opened in the 1930s, and they are also a member of EAZA. They’re well-known for their use of larger habitats to support their animal welfare goals. Novy Urengoy Zoo (Children’s Ecological Station) in Russia is a for profit zoo that is also a member of RUZA. Located in the far north with a subarctic climate, the zoo cares for a unique collection of animals that thrive in the severely cold winter weather — average temperatures of (−15 °F). 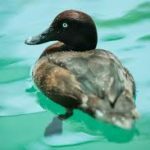 The Madagascar Pochard Project is a conservation breeding program to save the world’s rarest duck, the Madagascar Pochard. Long-time Species360 member, Durrell Wildlife Conservation Trust, is leading the project. 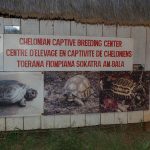 The Ampijoroa Chelonian Captive Breeding Center is a conservation breeding program for critically endangered tortoise and turtle species in Madagascar. It was established by long-time Species360 member Durrell Wildlife Conservation Trust to breed and reintroduce the species into their native habitat. Bede’s Senior School in the UK is a coeducational independent school for 13-19 year olds. Their Animal Management Unit cares for a small wildlife collection. Discovery Place Nature in Charlotte, North Carolina is a non-profit nature museum with a small animal collection. They are part of a network of four museums throughout the Carolinas focused on STEM education. Gulf World Marine Park is an aquarium in Panama City Beach, Florida. Their parent organization, Dolphin Discovery, has been involved in the study and conservation of marine mammals for over 20 years. Their non-profit arm, Gulf World Marine Institute, rehabilitates injured marine mammals and sea turtles. Ystad Djurpark (Ystad Animal Park) in Sweden is a for profit zoo and member of the Swedish Association of Zoological Parks & Aquaria. 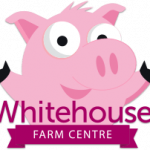 Whitehouse Farm Centre in the UK is a small, for profit zoo with traditional, as well as exotic species. 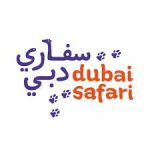 Dubai Safari in the UAE is run by the Dubai municipality. With 7,000 animals and 370 species, they aim to become one of the top ten zoos in the world. Serving as a replacement/upgrade to the 50-year old Dubai Zoo, the new facility is spread over 119 hectares. Future plans also include joining WAZA. Research partners, while not technically members, do have read-only access to 11 reports and tools of anonymous data that are available on individual species. These tools have been found to be useful in advancing conservation science research. Welcome to our new Research Partners! Interested in becoming a Research Partner? Learn more below. Margarita Hernandez at the University of Pennsylvania, is conducting research on wildlife fertility and how it varies by birth season and by species. Sorrento Therapeutics and their ARK Animal Health subsidiary is a clinical stage biotechnology company that is involved in physical research on therapies focused on oncology and the treatment of chronic cancer pain in wildlife. previous post: Amazing New Zealand members – What’s a wētāpunga? Copyright © 2019 Species360 - All Rights Reserved.